I have a 31 year old Craftsman table saw model 113.298470 with a non working motor. Sears no longer carries a replacement. Can I get a new comparable motor from another source? Or, would it be wise to have my current motor repaired, if possible? Any suggestions on where I could get a replacement new motor would be greatly appreciated. I have a working motor for an old electric sears table saw. If you are still in need, please reply. I acquired from my dad and I will never use it. 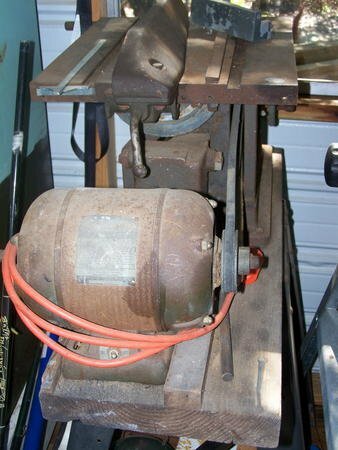 Thanks for your reply regarding a motor for my old Craftsman table saw. I resolved the problem by having the motor rebuilt and it is now working fine. Should be good for another 30 years! How did you find somewhere that rebuilds motors? Have SEARS Model 113.298050 10: table saw with legs, etc...motor stopped the other day after a long session of ripping 2x4's. Thought it has just overheated. Waited, pushed the reset and nothing...waited some more, then hit reset and saw started turning reeeeeal slow, then stopped then started running backwards even slower. Reset a few times, now nothing as far as the motor starting...any ideas?? Anyone know the Emerson Motor replacement number for this, or what frame type the SEARS motor may have? I am interested in this motor. Tell me the Cost, the HP and the RPM. Does it have a capacitor start? In your comment you said you were ripping some studs, well my old Craftsman quit also. I just took it apart and thought it might be the capacitor. Not. It was if fact the reset button. I bypassed the circuit with a jumper wire and now it works. Now I need to find a replacement reset button. My Craftsman belt drive motor just went out tonight. It is a KS55BXFS-1043. Does anyone have one, or know how to get one? Any help would be greatly appreciated.